Home Bollywood News Rahman enjoyed directing SRK for music video! New Delhi, Oct 18 (IANS) Grammy and Oscar winning composer A.R. Rahman says working with superstar Shah Rukh Khan on “Jai hind hind, jai India” was an “interesting” experience. Rahman directed Shah Rukh for the first time for the official video of the official song for Odisha Hockey Men’s World Cup Bhubaneswar 2018. The song is composed by Rahman and penned by Gulzar. “Gulzarji and I are extremely excited to share with you our latest song ‘Jai hind, hind, jai India’. Having Shah Rukh join us made it even more interesting,” Rahman said in a statement. “I hope you enjoy the music video produced by our young team. It is a music video that my team and I have created after nearly two decades of having created ‘Vande mataram’. ‘Jai India’ has given me the privilege of singing in India’s honour as we get ready to host the Hockey World Cup in Odisha next month,” he added. The song and video are slated to release at the end of the month. 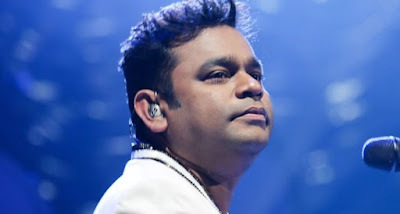 Rahman will also perform it live at the opening ceremony on November 27.